MOSCOW, March 17. /TASS/. 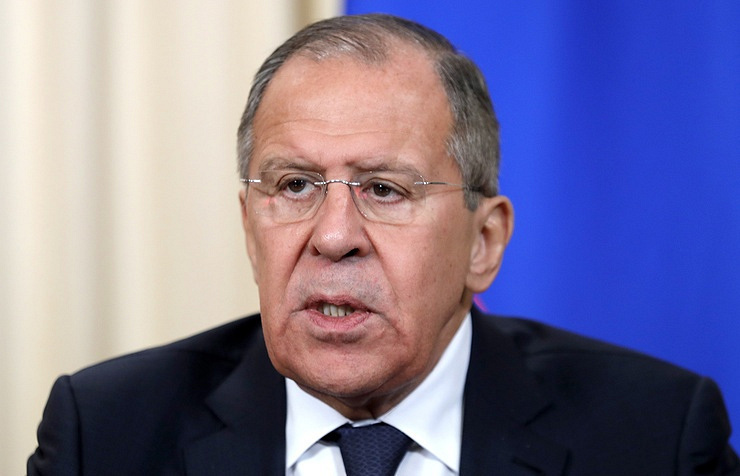 Plans on Syrian division should be foiled immediately, Russia’s Foreign Minister Sergey Lavrov said in an interview with Kazakh President’s TV and radio broadcasting company. "I think we should not even discuss a potential division of Syria, but claim that those plans should be immediately foiled (as someone orchestrates it), this is our obligation," he said. Hope has emerged that armed groups Faylaq al-Rahman, Jaish al-Islam and Ahrar al-Sham will shun Jebhat al-Nusra (terrorist organization outlawed in Russia) in Eastern Ghouta, Russia’s Foreign Minister Sergey Lavrov said in an interview with Kazakh President’s TV and radio broadcasting company. "It took long for this process to start, currently some hope has emerged that those armed groups will shun Jebhat al-Nusra," he said. According to Lavrov, Jebhat al-Nusra has virtually usurped those armed groups that were meant to become part of the negotiation process. "They have created a joint command, and in fact, three groups - Faylaq al-Rahman, Jaish al-Islam and Ahrar al-Sham - started to go with Jebhat al-Nusra, which has been described by the UN Security Council as a terrorist organization. Our officers were actively helping the Syrian representatives to contact those three groups in order to get them shun terrorists," he said. Special ops forces of the United States, Britain, France and other countries are active on the Syrian territory, Russia’s Foreign Minister Sergey Lavrov said in an interview with Kazakh President’s TV and radio broadcasting company. "Special ops forces of the United States (they no longer deny it), Britain, France and some other countries are ‘on the ground’, meaning it is not so much of a 'proxy war,' but a direct involvement in the war," he said. According to Lavrov, Moscow condemns the illegal presence of armed forces on the Syrian territory. "From the viewpoint of international law and the UN Charter, the US coalition is illegal, but we are realists and realize that we cannot go to war with them after all, which is why we coordinate actions at least in terms of preventing undeliberate clashes. Our combatants are in contact with the US commanders who run the operation on the Syrian territory all the time," the minister added.